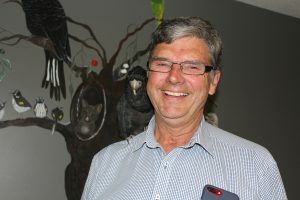 Over the past few months, the Board and management of Native Animal Rescue have been working on a new Constitution for the Association. This was formally adopted by members at a Special General Meeting on 16 August 2018. This Constitution has now been approved by the Department of Mines, Industry Regulation and Safety and is in use. 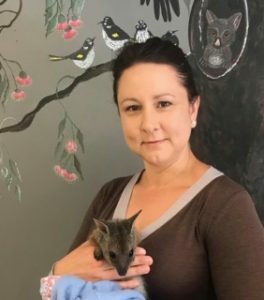 Native Animal Rescue would like to thank Laura Rowan, from Rowan Consulting for donating her time to the Association to write the new Constitution and manage the process. To view the new Constitution, please cick here. I was approached by Kelli to join the NAR board in mid 2018, after spending time working with Kelli and the Board to review the Constitution. I am very proud and somewhat daunted to now be Chairing the Board after membership endorsement AGM in in November 2018. I would like to thank Steve Coombes, now Vice-Chair, for the 4 years he spent as Chair leading the Board. I am self-employed, running Rowan Consulting, which is a business which advises not-for-profits in WA on governance matters. I am a member of the Institute of Community Directors and a former Vice-President of the YWCA of Perth. I am a strong advocate of continual learning and holds a Masters Degree in International Management, Diploma in Project Management and Certificate IV in Training and Assessment. My focus for the first Board under the new Constitutional arrangements is to build a strong, united Board which supports the great work that the staff and volunteer at NAR do. We will be working on strategic planning and governance, developing relationships with the business community, increasing membership and assisting Kelli in grant applications and expanding the education program. I have lived in the Northern Suburbs of Perth since the Early Seventies, I am Married with 4 adult children. After schooling in Perth, I started work in Retail then progressed to the West Australian Police Service, where as a patrol Officer I was fortunate enough to work throughout large areas of the state. I have been active in outdoor activities including being a member of the Perth 4WD club since the late 90’s. I have travelled extensively across Australia with a deep love of the remote areas. After my Police Service I have been involved in two business ventures over the past 16 yrs, both allowing me to be self employed. I have also sought further education having obtained certification in most aspects of steel fabrication. My relationship with NAR begun in 2009, when I contracted to build the “woylie” enclosure and have had a hand in many other projects onsite. In 2014 I was invited onto the board, taking over as Chairman in 2015, and as of the 2018 G.M. I am now the Vice Chairman. I believe my expertise in the construction industry has been a benefit to NAR and hope to give aid for many years to come. If spending all day sitting in the bush watching animals was an occupation, that is what I would do for a living. 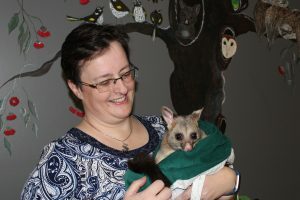 Having always been passionate about conservation and animal welfare I am excited and honored to become part of the Native Animal Rescue team, combining my professional skills with my passion to help care for our native fauna. After working as a bookkeeper for the Scarborough Sportsmen’s Club and an entrepreneur in the health industry, I ventured out and built up my own bookkeeping business which I ran for over four years. With a solid client base, I gained experience working in such industries as hospitality, property development, marketing and not-for-profit organisations. Since selling this business I have lived in the beautiful South West for two years working with wineries as their Management Accountant, implementing new programs and processes to gain more control over their financial reporting. Having recently moved back to Perth, I have been running the business side of the Hillarys Marina Lifting Yard. In this role I manage the operations, finance, HR and marketing as a whole, working towards creating a more profitable and reputable business. Living in one of the most stunning natural environments in in Western Australia, set alight my fire to get involved in conserving our land and the wildlife within it. My aim is to not only keep NAR on track with finances but also learn on the job and assist in any other way I can. Native Animal Rescue is an outstanding organisation, that has a long history in helping our native animals return to their natural habitat. This has been achieved by the enormous amount of effort, dedication and passion from the staff and volunteers over many years. Despite these combined efforts, NAR lacks the ongoing engagement of key stakeholders, to provide resources and funds that will deliver a more sustainable organisation. 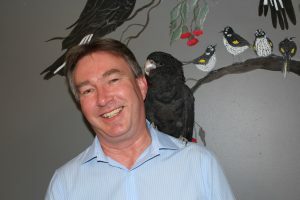 One that can take on a leadership role within native animal rescue, in our community. To get to this position, the NAR board, needs to have qualified people who are not only passionate about the cause, but can impart business knowledge and skills, that seek out corporate partners and promote the role and outcomes of NAR in all the right places. I have an extensive work history, which encompasses, business management and leadership, financial reporting, sales, marketing, business development, partnerships and contracts, leading teams, corporate, social and environmental responsibility and board member experience. I will be able to contribute to the NAR business and marketing strategies, assist with new stakeholder engagements, and nurture and promote our wonderful staff, volunteers and corporate partners. We need to develop working ties with government, both state and local, and have a collective voice in key networks of influence. We need to also provide members and affiliates the opportunities to connect and network. I would also bring a commitment to helping Native Animal Rescue realise it goals, be actively involved with tasks as required and promote the awareness and engagement with NAR at every opportunity. I do have a busy corporate work schedule, but also realise that time needs to be made available to seek out other ventures that refresh the soul, challenge you, and provide a sense of satisfaction, when contributing to a positive difference for others. Can I make a difference and add value to Native Animal Rescue? Yes, I can. Shireen Watson is a community development professional standing for consideration on the NAR Board. She is currently a Grants Development Officer at Lotterywest, and has prior experience developing grant applications for schools, landcare and community groups. Shireen is well qualified, attaining a BA (Geography), and a Masters of Studies majoring in units from the Applied Anthropology and Participatory Development program. She is a Justice of the Peace, has trained in Social Return on Investment and completed the Leadership WA Signature program. Shireen worked for 6 months in Kathmandu, Nepal as part of the Australian Youth Ambassador for Development program where she was a forestry landcare advisor. She has also lived in a remote Aboriginal community and through the NorthWest, and has worked and travelled extensively through the state. Shireen hopes to bring her skills and experience to a Board of passionate professionals who are working to secure NAR’s future development plans. I have had a deep respect and admiration for our natural world from a young age. I was the girl always outdoors catching frogs and rescuing birds around our local lakes in Ballajura. This passion for wildlife led me to study Environmental Biology at Curtin University and I finished this degree with honours in 2004. My career has been dedicated to connecting people with our natural world through education, interpretation and community engagement. I have been fortunate enough to work for several of Perth’s high-profile destinations including Scitech, the WA Museum, Perth Zoo, Department of Environment and Conservation and Rottnest Island Authority. After having children, I decided to move away from the public sector and set my sights on the non-profit sector. For the past two years I have been working part-time as the Office Administrator for the Free the Bears Fund, a charity founded in Perth in 1995. This role involves leading a small team responsible for the fundraising, volunteer coordination, administration, donor support and financial management of the charity in Australia. Funds raised are sent across to sanctuaries in Laos, Cambodia, India and Vietnam where bears are rescued from horrific conditions such as bile farms. I also freelance as a Virtual Assistant, offering business owners support with tasks such as social media, bookkeeping, online marketing, copywriting and editing. I am excited to be the Secretary for the NAR Board, as I feel that I have a strong administrative background paired with a broad range of experience relevant to the organisation. I have also developed a solid understanding of charity governance and compliance. I look forward to working with a passionate and dedicated group of people to ensure the best outcomes for NAR and the array of native wildlife in need of care and support.